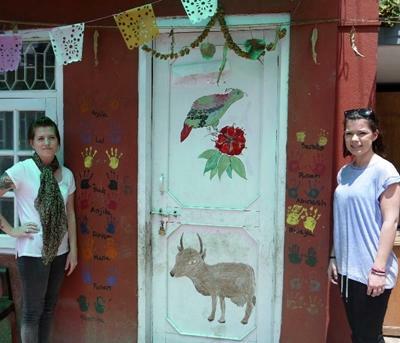 Volunteers joining the Projects Abroad HIV/AIDS project in Nepal work with a local organization that focuses on supporting children under the age of 10 who are affected by the epidemic. The aim of the project is to assist children who are living with HIV and AIDS, and help with their care, support, and treatment. Whether you are on a gap year, career break, or an extended vacation, you have the opportunity to make a worthwhile contribution to the lives of these vulnerable children. As a volunteer on the HIV/AIDS placement you will work at a care centre and rehabilitation centre, which are programs run by a local organization. This care and support program looks after young children who have the disease and often also cares for their mothers at no charge. Your main focus will be to get involved in informal educational activities with children who have HIV/AIDS. These activities include playing educational games, teaching the children new songs, reading to them, and providing individual tuition in English and other school subjects. You will also help the children with personal hygiene by reminding them to wash their hands before and after dinner, as well as brushing their teeth. During the afternoons, while the children take a nap, you will also be able to assist the local staff with cleaning, updating the children’s documents, and planning daily activities for the children. Your working hours will be from 10am to 3pm, Monday to Friday. Your help will be greatly appreciated at the organization and you will be making a positive impact on the lives of many young children. You can join the HIV/AIDS project in Nepal for two or three weeks if you don't have time to join us for four weeks or more. The projects have been selected by our local colleagues as being suitable for short term volunteering for both the host community and the volunteer. Although you will gain a valuable cultural insight and work intensely within the local community please be aware that you may not be able to make the same impact as someone volunteering for a longer period. If you would like to work in childcare centres, day care centers, or centers for children with special needs, you can volunteer on one of our Care Projects.